Professor John Horne on ‘The War to End All Wars? International Perspectives 1918 – 1923’. He is accompanied by Simon Kingston, co-founder of the WCHF, and Gus, the Festival dog. Micheál Martin introducing our Saturday afternoon session on the events of 1918, a pivotal year; with him is Professor Eunan O’Halpin of Trinity College, Dublin. 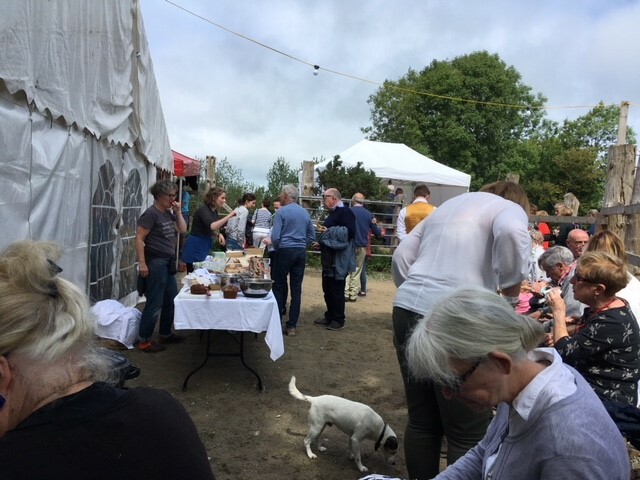 Lunchtime at the Festival, with food provided by Carmel Somers and Chris Hedges and coffee by The Golden Bean. Also starring Gus the Festival dog again. Victoria Kingston, Festival co-founder, introduces Katie Childs, Head of Partnerships & Stakeholder Relations at Imperial War Museums. Katie spoke about the museum & the First World War centenary, particularly focusing on women’s role in the war. 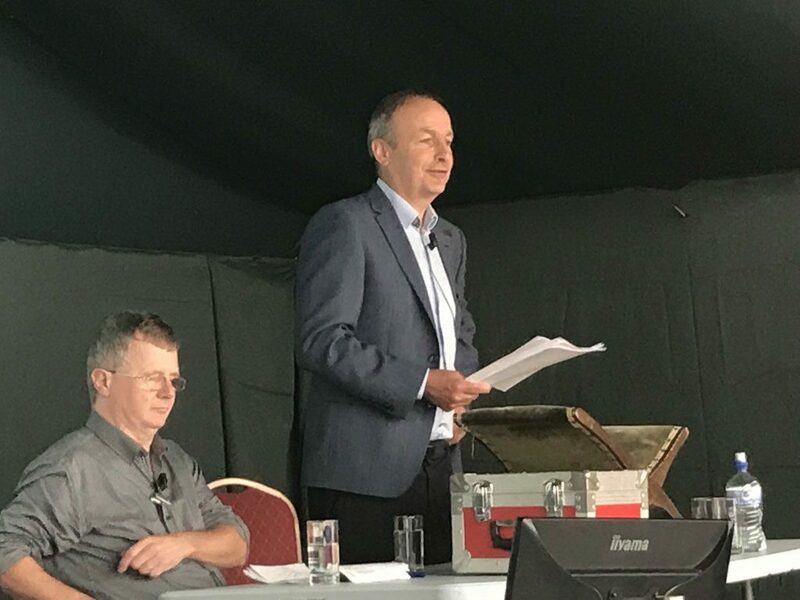 Dr Andy Bielenberg of UCC who spoke on ‘Disappearances in Co Cork 1920-22 and the case of Mrs Lindsay’. 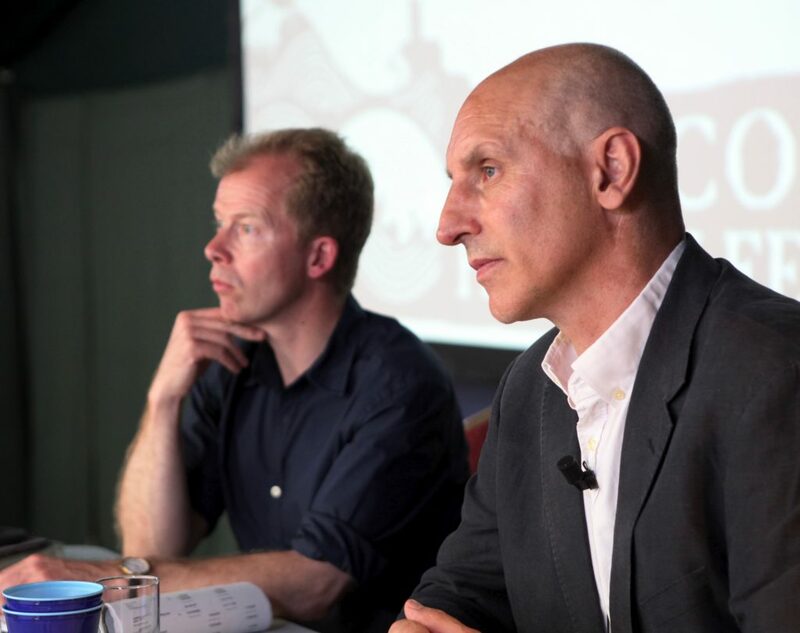 Simon Kingston, Festival co-founder, is on the left. You can book on this website here or tickets are on sale at the Time Traveller’s Bookshop, 44 Bridge Street, Skibbereen. Buy some books while you’re there! Jeremy Irons, actor and West Cork resident, will be our closing act at the 2018 Festival. Irons, who has taken on diverse roles in film and theatre over a 40-year career, will read a selection of poems written in response to the Great War and the Irish Revolution and will offer a brief reflection on each of them. This will make a fitting close to a Festival which will reflect upon these events in the centenary of the war’s ending and the establishment of the First Dáil. 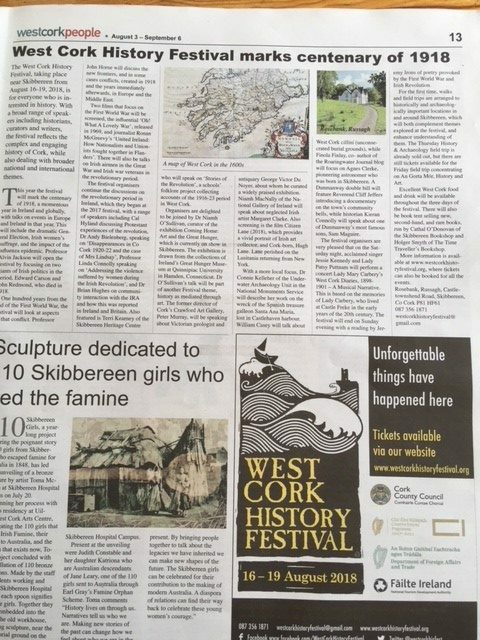 Irons himself takes a keen interest in the history of West Cork and lives in nearby Kilcoe Castle which he has restored. He has been a champion and inspiration for the arts in the area for many years. 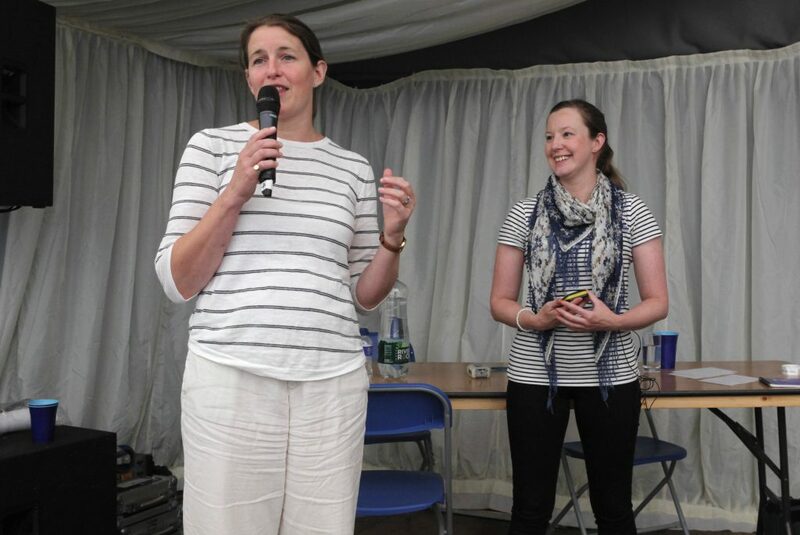 Hear about two pioneering women on Sunday morning of the Festival…. Agnes Clerke, born in Skibbereen, was an astronomer and science writer. She and her sister and brother were all home-educated and brilliant in their fields, Ellen and Aubrey in literature and law. 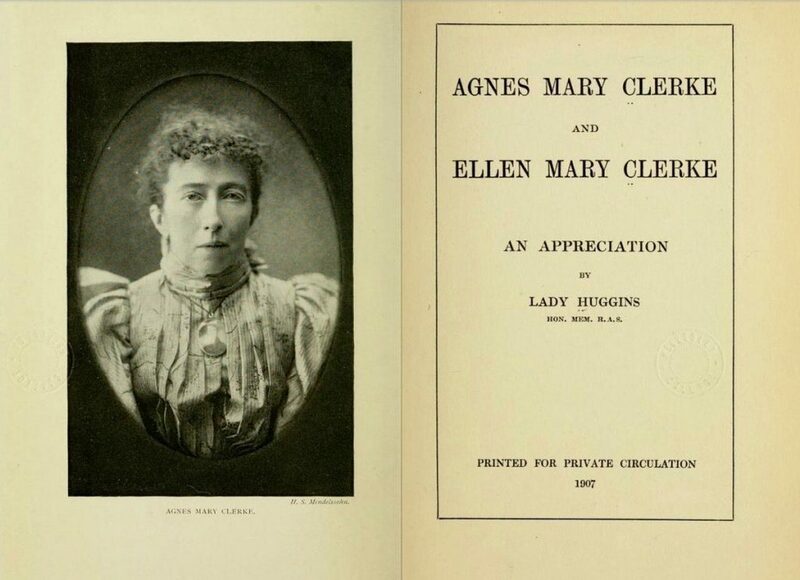 In 1885, Agnes published her best-known work ‘A Popular History of Astronomy in the Nineteenth Century’. 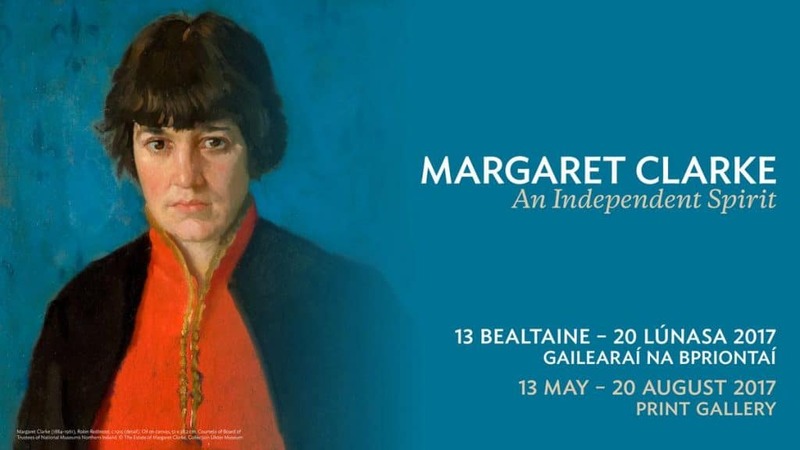 Margaret Clarke (nee Crilley) was a successful painter in her own right, but has often been over-shadowed by her husband Harry, Ireland’s best-known stained glass artist. After his early death, she managed his studio as well as bringing up their three children and continuing her career, mostly focusing on portraits. 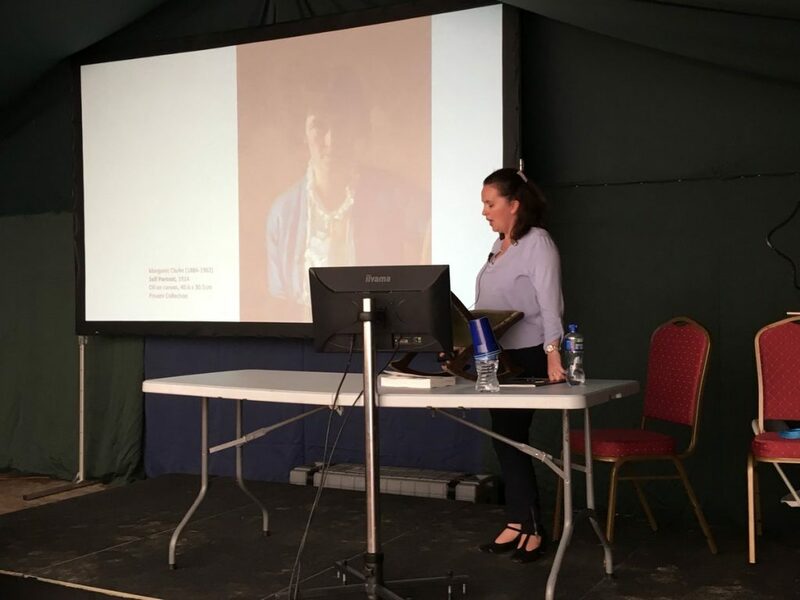 National Gallery of Ireland curator Niamh MacNally will speak about Clarke on whom she curated a very successful exhibition at the National Gallery in 2017. The Wreck of the Santa Ana Maria comes to life…. Under a week to go until the Festival and to celebrate we’ve commissioned a very talented animator Delia Johnson, to create a piece inspired by one of our 2018 Festival talks, by Dr Connie Kelleher. 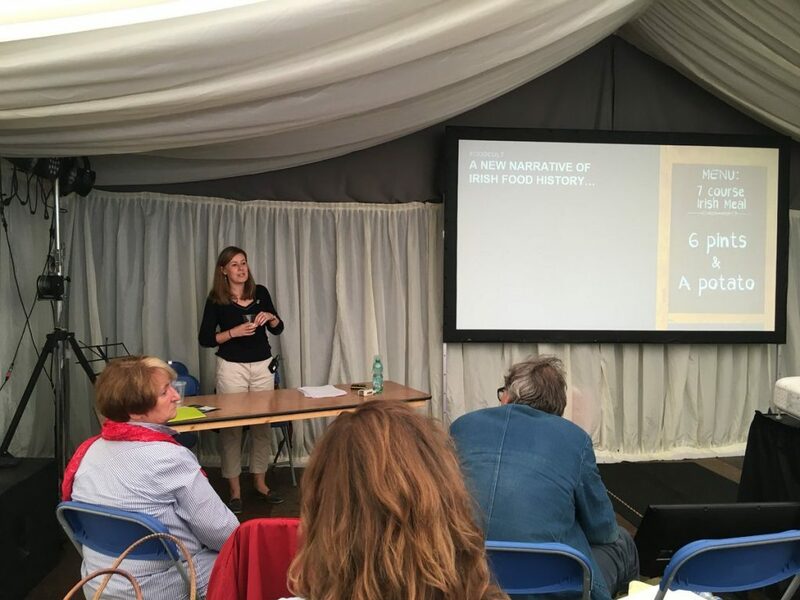 Connie will speak at the Festival about ‘The 1627 wreck of the Spanish treasure galleon Santa Ana Maria and the fall of an empire’. On Sunday morning of the Festival (19 August) we have three fantastic talks all of which show how history can be mediated through art. And then we have National Gallery of Ireland curator Niamh MacNally speaking about the Irish artist Margaret Clarke (nee Crilley), about whom she curated a very successful exhibition at the National Gallery in 2017. 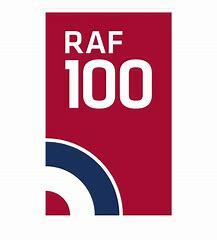 We mark the centenary of the momentous year of 1918 with a number of talks and events. Our opening speaker is Professor Alvin Jackson, who will talk about Edward Carson and John Redmond, the centenary of whose death we mark this year. 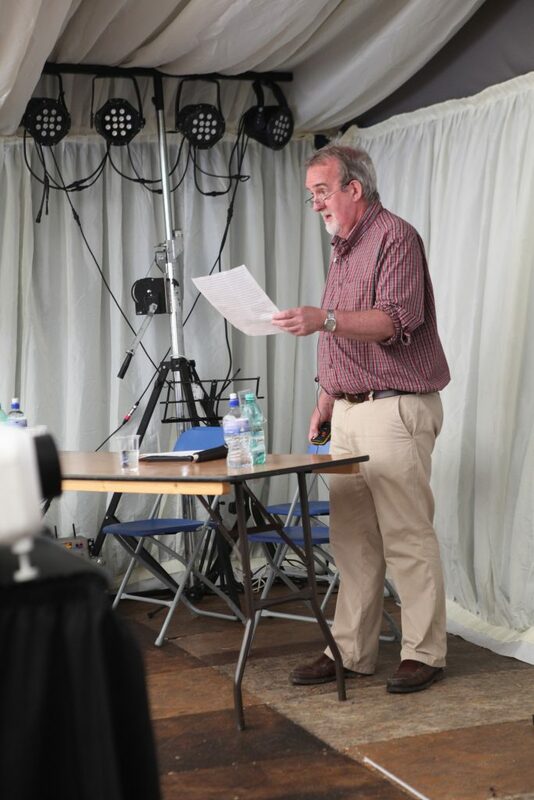 On the Saturday morning of the Festival, Professor John Horne will talk on ‘The War to End All Wars? 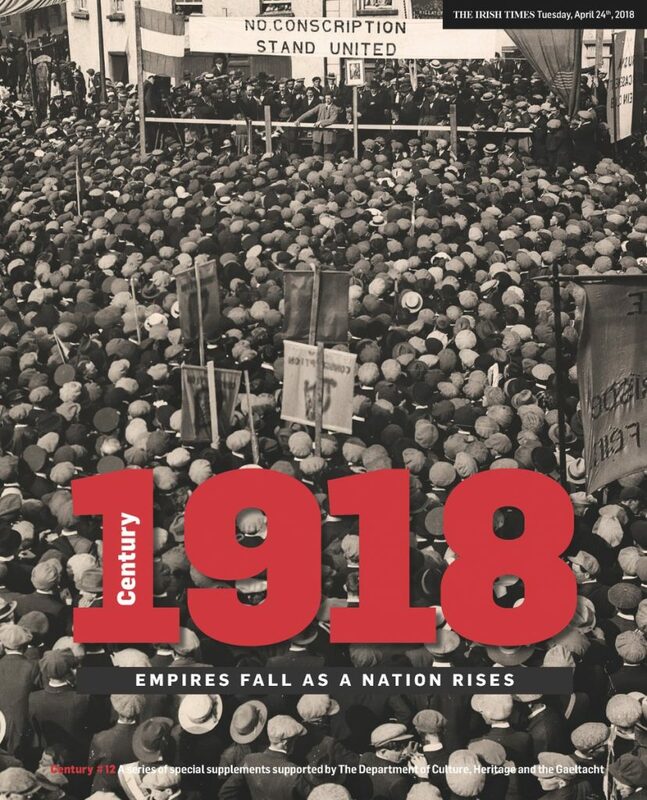 International Perspectives 1918 – 1923’ followed by a panel discussion with Professor Eunan O’Halpin and Professor Louise Ryan on the eventful year of 1918 and its consequences. Saturday afternoon sees Eunan O’Halpin return with ‘A catalogue of errors? British government and Ireland in 1918’. 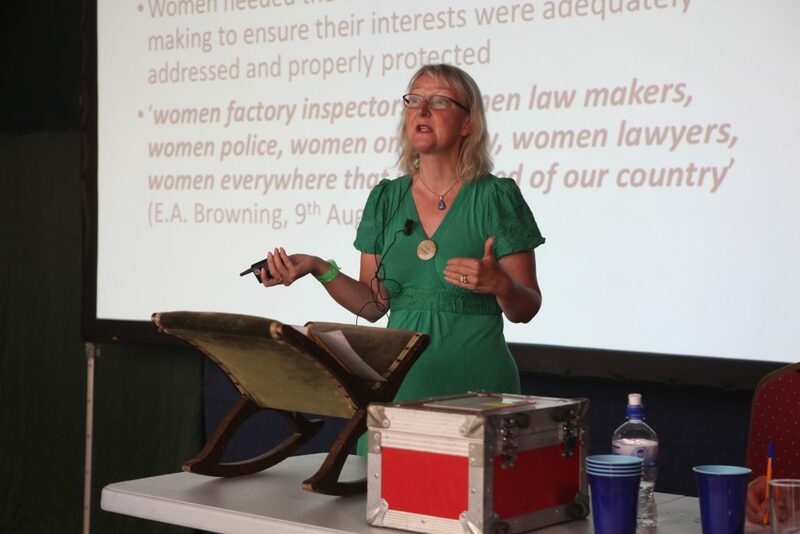 Louise Ryan will speak on Irish suffrage, in the year some British and Irish women gained the vote, specifically ‘Shining a light on secret aspects of Irish society – the Suffrage Movement and the Irish Citizen Newspaper’. 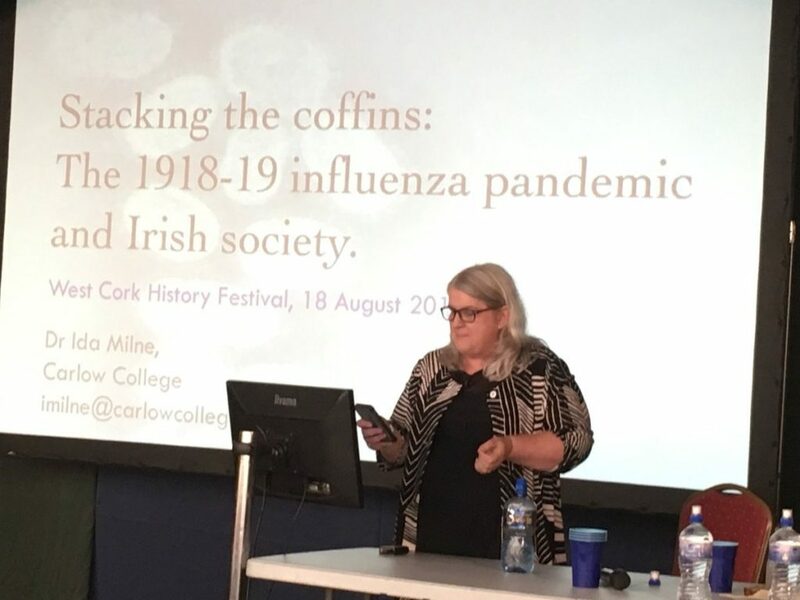 Dr Ida Milne will follow with ‘Stacking the coffins: the 1918-19 influenza pandemic and Irish society’. Finally in this session we have Lar Joye on Weapons of the War of Independence, analysing how that impacted on the type of fighting that took place and in particular looking at the smuggling of weapons into Ireland and the role of the staff of Dublin Port (where he is now Port Heritage Director). The Irish Times’ excellent 1918 supplement, published earlier in the year, copies of which will be available at the Festival. We are delighted to announce that West Cork resident and well-known actor Jeremy Irons will give a reading of revolutionary era and First World War poetry at the West Cork History Festival. This will take place on the evening of Sunday 19th August, at approximately 20.30. 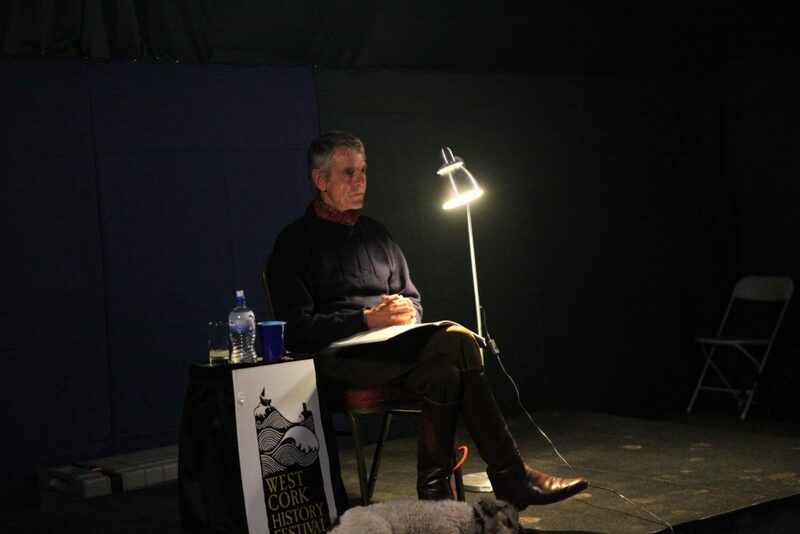 The poetry reading is included in your ticket price if you have already bought a weekend, Sunday day or Sunday afternoon ticket for the Festival. And if you haven’t yet bought a ticket, we hope this addition to an already rich programme of talks and films will persuade you! 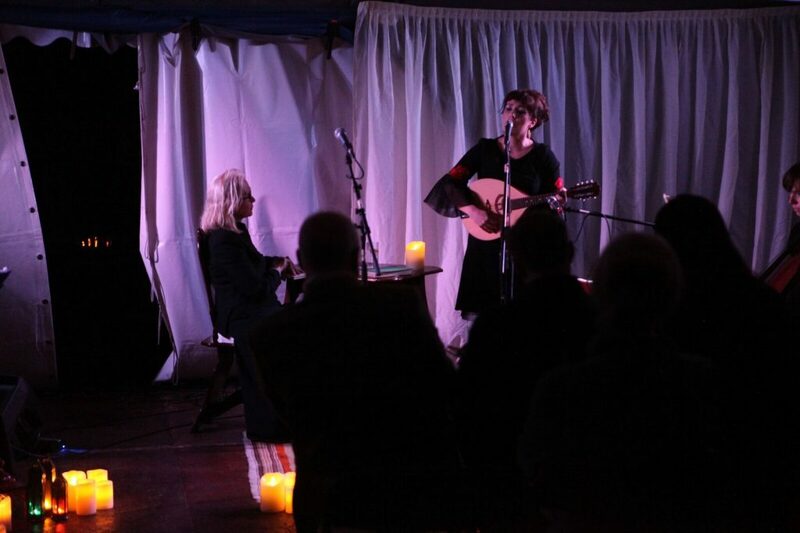 Acclaimed Irish singer, songwriter and composer Jessie Kennedy has most recently headlined shows at St. Barrahane’s Classical Music Festival in West Cork, Cork Opera House, and The National Concert Hall, Dublin. Jessie is a violinist with The Vespertine Quintet. She is about to release her fourth studio album, which follows her powerfully evocative 2015 record “The Carbery Songs”. Last month, Jessie performed specially commissioned music at a collaborative event with Jeremy Irons, an event which formed part of the Coming Home exhibition. 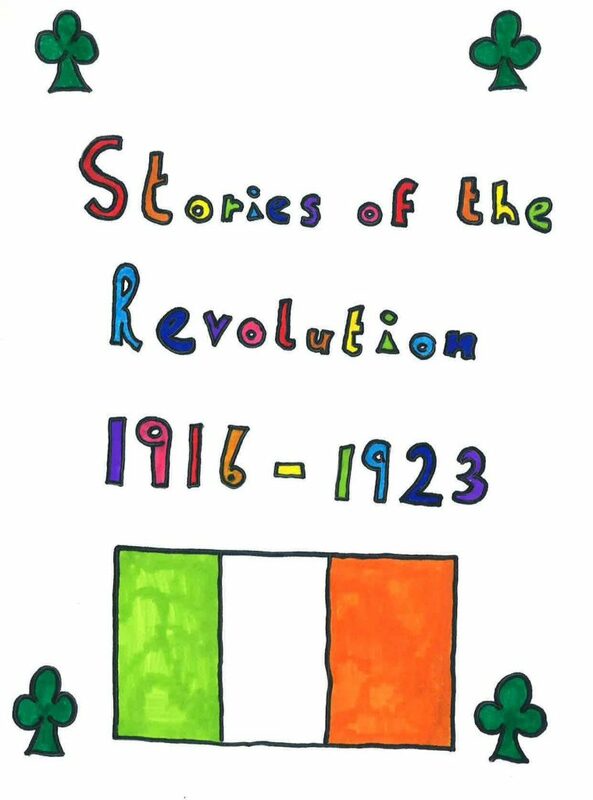 Terri Kearney of the Skibbereen Heritage Centre will speak at the Festival on Saturday morning on ‘Stories of the Revolution’, a schools’ folklore project collecting stories about the 1916-23 period in West Cork. The project has been running for a number of years. Local children are asked to collect stories relating to the Revolutionary period from older relatives and people in the community. The project will run up to 1923 when the children’s essays will be uploaded to create a digital archive. The physical essays will go to Cork City Archives for posterity. 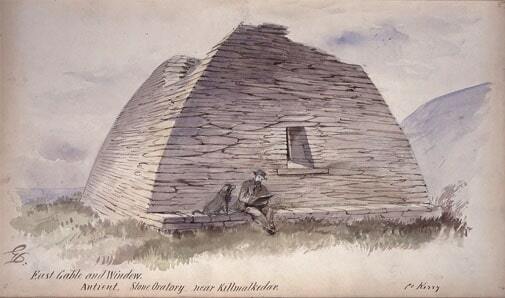 Terri Kearney is a native of Skibbereen and has managed Skibbereen Heritage Centre since it opened in 2000. She has published two books, Lough Hyne: The Marine Researchers – in Pictures, Lough Hyne: From Prehistory to the Present as well as co-authoring Skibbereen: The Famine Story. The War to End All Wars ? 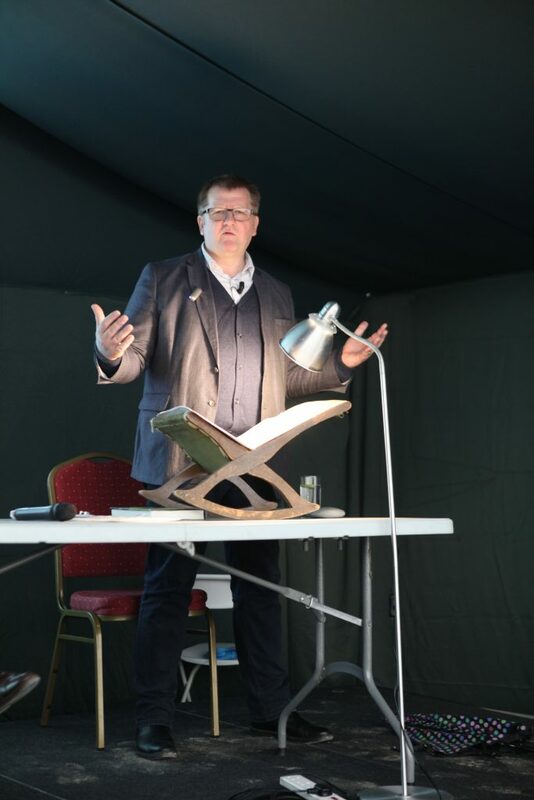 Our opening speaker on the Saturday morning of the 2018 Festival will be Professor John Horne. 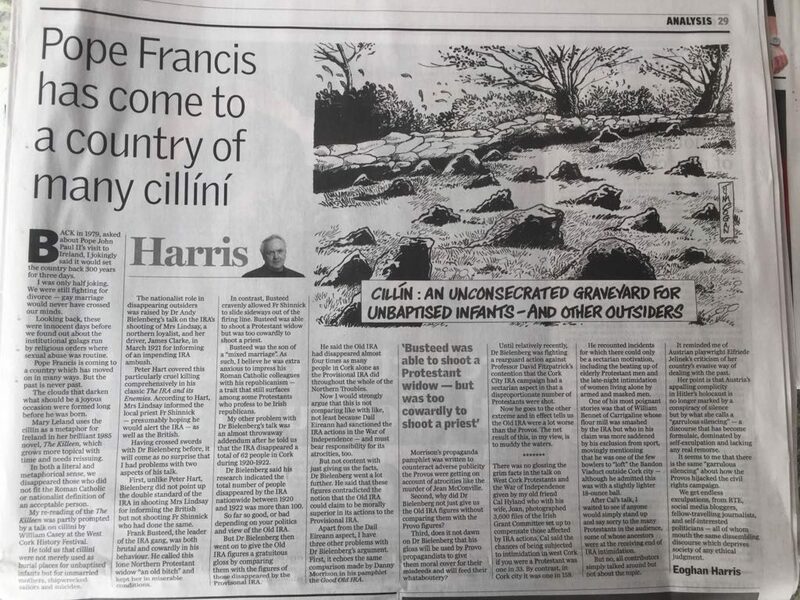 A specialist in twentieth century French and European history, he is a Fellow of Trinity College Dublin where he is Professor of Modern European History and Director of the Centre for War Studies, which he founded in 2007. The title of his talk at the Festival is ‘The War to End All Wars? International Perspectives 1918 – 1923’. He comments that ‘the one safe judgment about the First World War is that it unleashed forces far greater than contemporaries could resolve. This unfinished aspect of the conflict helps explain why violence generated by the war continued in many parts of the world beyond 1918. 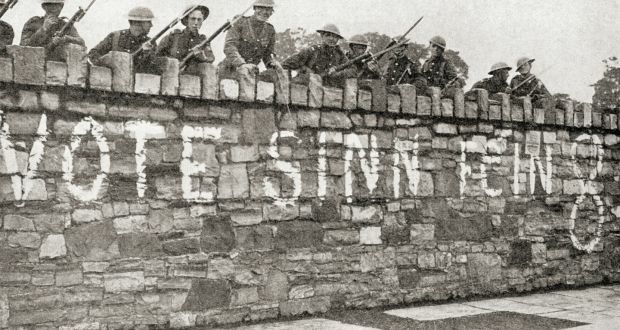 In effect, a ‘greater war’ continued until the early 1920s.’ Horne’s lecture will explore why this was so in Europe and the Middle East and will conclude with some brief reflections on the implications of the argument for Irish history. After his talk, Professor Horne will be joined by Professor Eunan O’Halpin and Professor Louise Ryan for a panel discussion on 1918 and its consequences. On the Friday evening of the Festival (17 August) we are very pleased to be screening the influential film Oh! 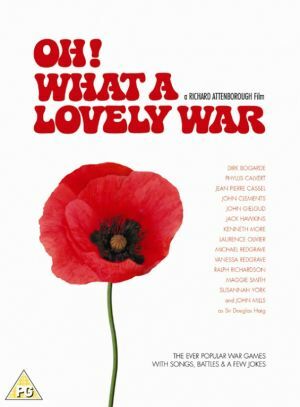 What A Lovely War, released in 1969. A musical satire about the events of the First World War, it was based on a stage play of the same name and uses many of the popular songs of the period. 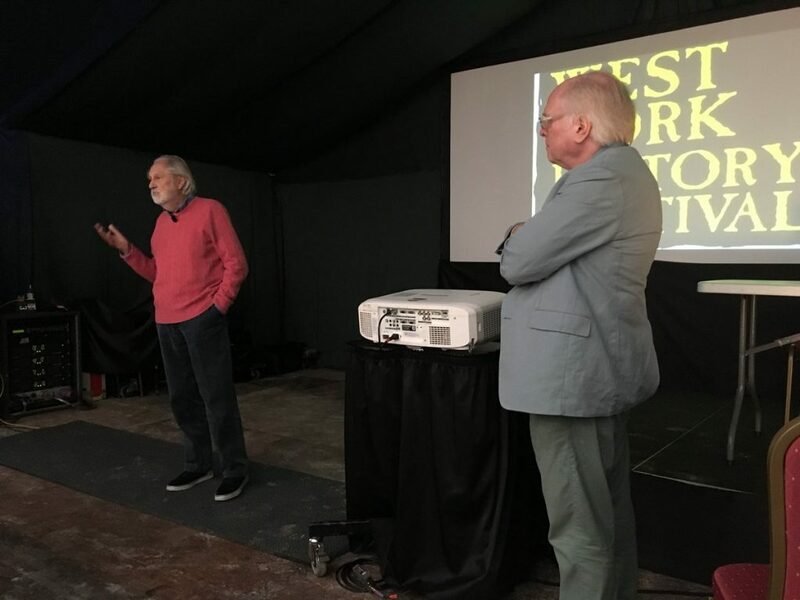 Michael Attenborough, son of the film’s director Richard Attenborough, and himself an acclaimed theatre director, will discuss the film. 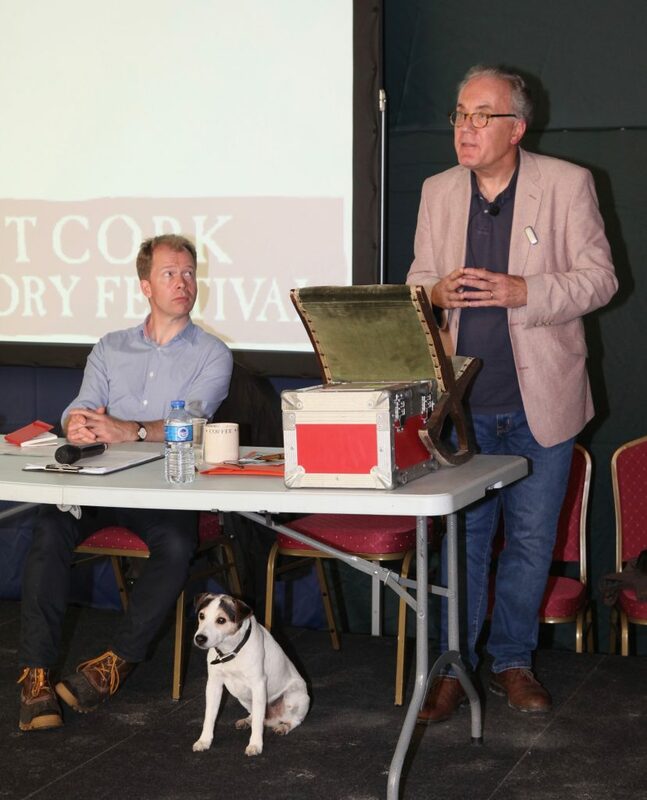 Our opening speaker at the 2018 West Cork History Festival is Professor Alvin Jackson. 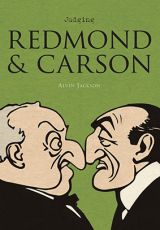 In the centenary year of John Redmond’s death, Professor Jackson will speak on Redmond and Carson, the two men who are the subject of his recently published book Judging Redmond and Carson (Royal Irish Academy: 2018). Professor Jackson is a leading historian of Ireland and Britain, and has written seven books, including the Redmond and Carson publication, and The Two Unions: Ireland, Scotland and the Survival of the United Kingdom 1707-2007 (OUP: 2013): he has also edited the acclaimed Oxford Handbook of Modern Irish History (OUP: 2017). He has been Sir Richard Lodge Professor of History at the University of Edinburgh since 2004.